During the 19th century, American society was in a transformative state. As the fight between widespread racism and the Civil Rights frontier came to a head, many African-American individuals made an effort to establish themselves within a (hopefully) more accepting society. There is no figure that encompasses that struggle more than Madam C.J. 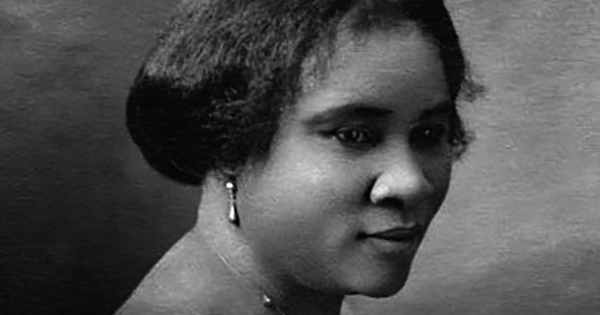 Walker - the wealthiest African-American woman of her time! Born Sarah Breedlove on December 23, 1867, Madam C.J. Walker grew up as a slave, picking cotton on a plantation in Delta, Louisiana with her six siblings. Though her parents became sharecroppers after the Civil War, poverty plagued her family. Unfortunately, her parents passed away when she was only 7. Already at a disadvantage, Walker continued to struggle into early adulthood. After two failed marriages at ages 14 and 20, she moved in with her youngest daughter A’lelia in St. Louis to seek better fortune. It was here she would begin to create a better life for herself. Madam C.J. Walker became heavily involved in the St. Paul African Methodist Episcopal Church in St. Louis. She became motivated to pursue her own dreams after listening to the successful Black men and women who attended her church. After staying in St. Louis for a few years, Walker decided to move to Denver to act as an aid for Annie Turnbo Malone, a fellow Black female entrepreneur, as she attempted to expand her haircare business. Though quite successful as a sales agent, her own struggle with hair loss led her to experiment with homemade hair care remedies. She consulted with her brothers (all barbers) and a pharmacist about which ingredients and products she should use to prevent further hair loss. Overtime, she perfected her formula and launched her own curative shampoo and ointment which targeted textured, coarse hair. She went on to form the Madam C.J. Walker Manufacturing Company, renaming herself Madam C.J. Walker after her then-husband, Charles Joseph Walker. At this point in time beauty and hair care manufacturing were still in their infancy. It was also during this period that African-American beauty needs were still neglected by big name companies. Thanks to these circumstances, her fortunes amassed quickly. She opened a manufacturing facility in Indianapolis where she trained Black females in sales and entrepreneurial skills. In 1917, she held a national convention to celebrate her sales’ agents and beauty gurus. Nearly every one of the 200 women who gathered had previously been employed as cooks, maids, and sharecroppers. Madam C.J. Walker gave Black women a shot at financial independence, and a way to escape the strenuous physical labor many had to endure after the Civil War. Over the course of a decade, Madame C.J. Walker’s business was valued at over $1 million and had employed over 40,000 African American women and men. This made her one of the first American women to become a self-made millionaire. Using her great fortune, Walker also went on to make many contributions to the Black community. She opened a Black-only YMCA in Indianapolis, funded tuition for 7 Black students at the Tuskegee Institute, and led a campaign during WWI to provide an ambulance for Black soldiers serving abroad. Even upon her death in 1919, Walker continued to give back; she left ⅔ of her estate to various charities. Madam C.J. Walker commanded the global stage with her ingenious business acumen, as well as her tireless efforts to create improved circumstances for African-Americans. Her story is one of many that people look to for inspiration and encouragement to move through life with courage, passion, and meaning.